On 9th March, the band took part in a joint concert with the Macclesfield Youth Brass Band, organized by the Rotary Club. 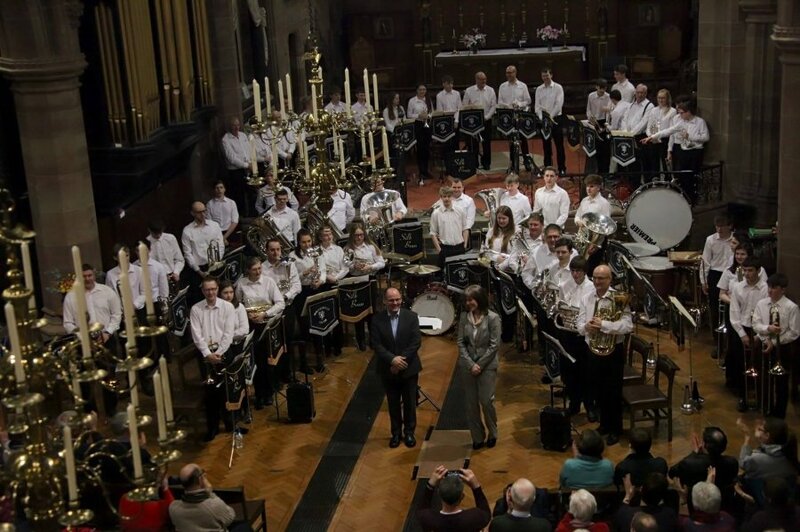 The concert took place in our favourite venue of St Michael’s Church in Macclesfield in front of a capacity crowd. The first half featured a medley from Silk Brass followed by MYBB running their programme for the upcoming National Youth Brass Band Championships. “Repton Fantasy” is a piece inspired by the writing of the great children’s author Roald Dahl (Dahl was a pupil at Repton School in the 1930s). The bands came together for a second half of big band music which really seemed to go down well with the audience and featured Silk’s Andy Durber on Bass Trombone playing “Minnie the Moocher” and Ella Banks (of Silk and MYBB) playing “Cry me a River”. The concert was a great advert for both bands and we hope to be able to repeat the concert next year. Silk Brass took part in the Rochdale NWBBA Contest on 29th October. Performing Peter Graham’s ‘The Essence Of Time’, the band and Musical Director Tony Wyatt were pleased with their performance. 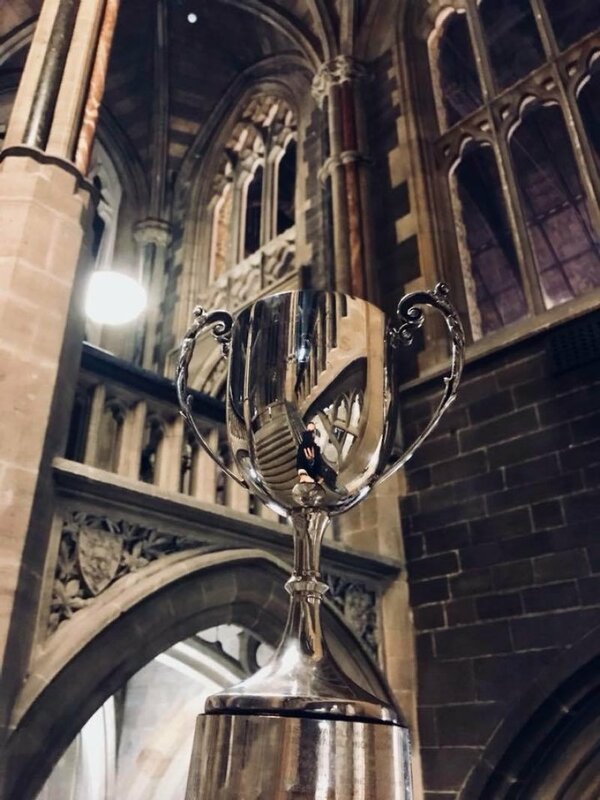 In a strong field of bands, we were delighted to be awarded 3rd Prize in the 1st Section making all the hard work in the run up to the contest worth it. 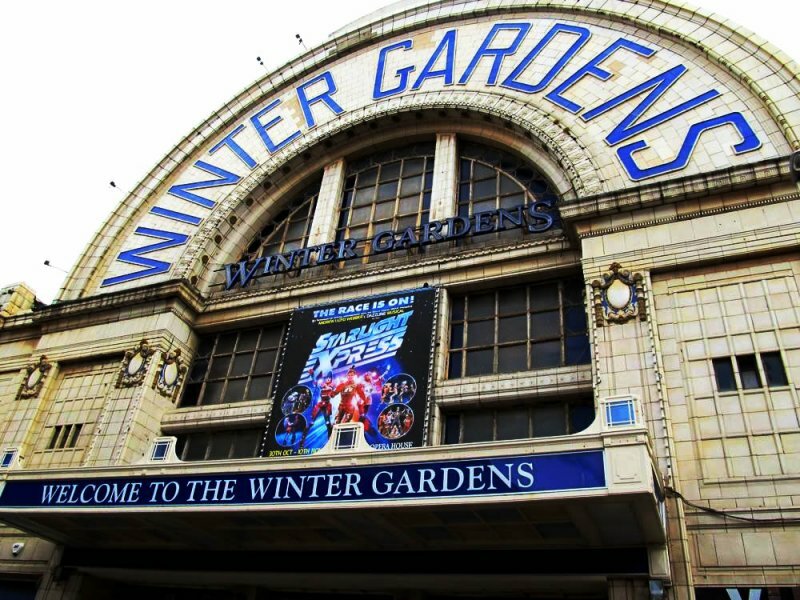 A good day out, and a good practice in the run up to the Regional Contest at Blackpool in February. 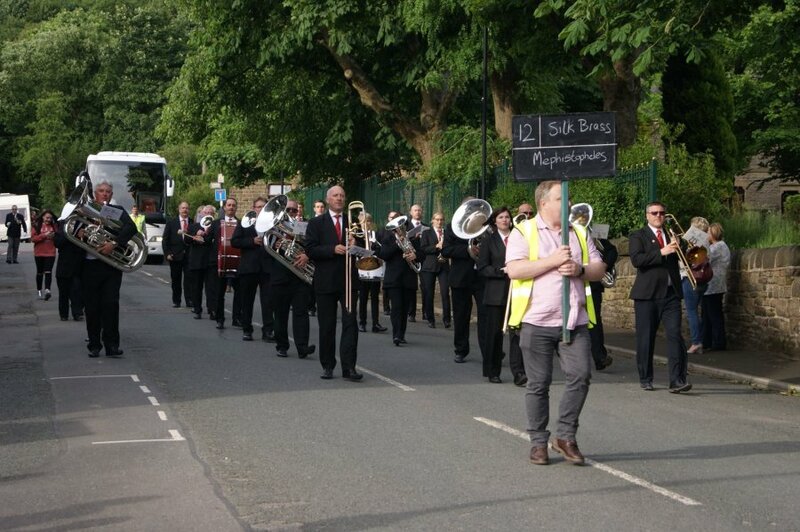 On Friday the band took part in the annual Whit Friday March Contest competing around the Tameside area. The band managed to play Shipley Douglas' "Mephistopheles" at all 12 venues, and out of the 6 venues that had a 1st Section prize the band was awarded 3 Highest Placed 1st Section band prizes (Hurst Cross, Stalybridge Labour, & Stalybridge Celtic) and a 2nd Highest Placed 1st Section prize at Droylsden. Out of the 45 bands that played in 6 or more contests around the Tameside area, Silk Brass was given an overall ranking of 9th place. Many thanks to all the players and supporters for a superb night out. Please watch the YouTube video below of the band performing "Mephistopheles" at the Carrbrook Contest last night. February 26th saw Silk Band compete in the 1st Section of the North West Regional Brass Band Championships. An early start - rehearsing in Blackpool by 7.45am - was followed by an early performance with the band drawn No.2 and on stage before 10 o'clock! It wasn't to be the band's day though, as although they performed well, the players knew they had left their best performance of 'Land Of The Long White Cloud - Aotearoa' by Philip Sparke back in the band room. Even so a result of 11th Place out of 13 seemed a little harsh and obviously a higher place would have been preferred. However, we are still in the 1st Section and will be competing again next year, to prove that we are a force to be reckoned with on the contesting stage. Onwards and upwards! Last Sunday, the band performed in the Rochdale NWBBA Contest with the piece 'Vitae Eternam' by Paul Lovatt-Cooper. 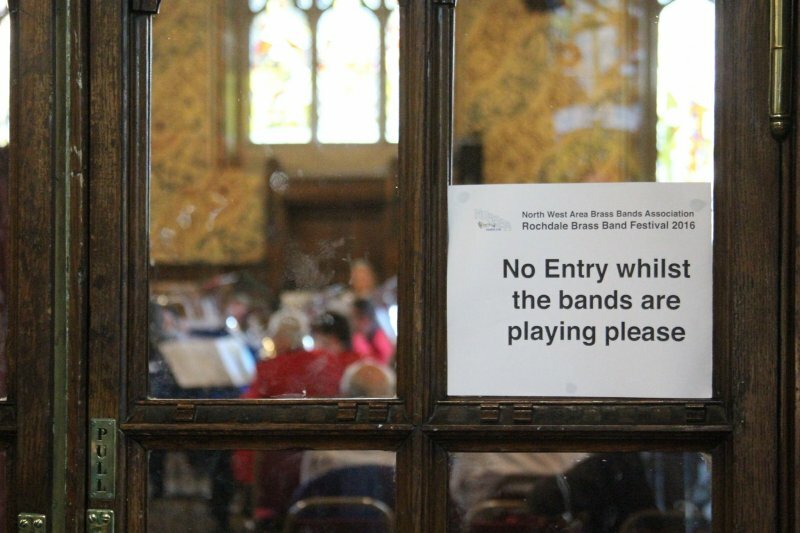 The band came off stage very pleased with how we had played, however, in the boomy acoustics of Rochdale Town Hall, the results didn't go our way and adjudicator Alan Morrison placed the band in 6th place. To listen to our performance, please follow the link below. The Hills Are Alive With The Sound Of Silk Brass! 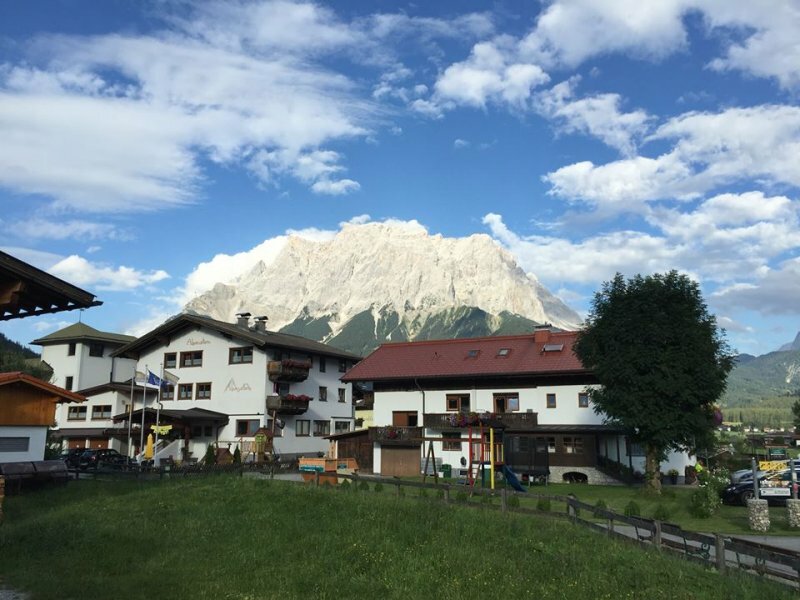 The band has just returned from a magnificent, week long tour of Lermoos and the surrounding area in the Tirol region of Austria. Thanks to the hard work of the band committee and numerous friends of the band who live over in Lermoos, the band was able to put on six concerts, including formal evening concerts and performances on some of peaks of the many mountains in the area, including the first performance ever by a brass band on top of the Zugspitze mountain - at just short of 10000 feet above sea level the views were breathtaking and many of the players found their breath was also taken by the high altitude while trying to play their instruments!. We must say a huge thanks to the generous Austrian hospitality from our many old and new friends that we have made on this tour and hope that we will be able to return in the not too distant future. A few photos of the week can be found in the gallery here.